After making the Kale, Fig and Apple Salad, I had a few figs leftover, which I used to make this tasty appetizer. 6 strips of prosciutto about 8 inches long and 4 inches wide (about 2 oz. ), cut in half to make 12 stripes about 8 x 2 inches. 2. Crumble blue cheese into a microwave-safe bowl. Add rosemary and season with pepper. Microwave to soften cheese, about 10-15 seconds (if it melts, put in the freezer briefly to firm up). Stir to combine with rosemary and pepper. 3. Slice figs about 3/4 the way down, being sure not to slice in half. Spoon about 1/2 tsp. 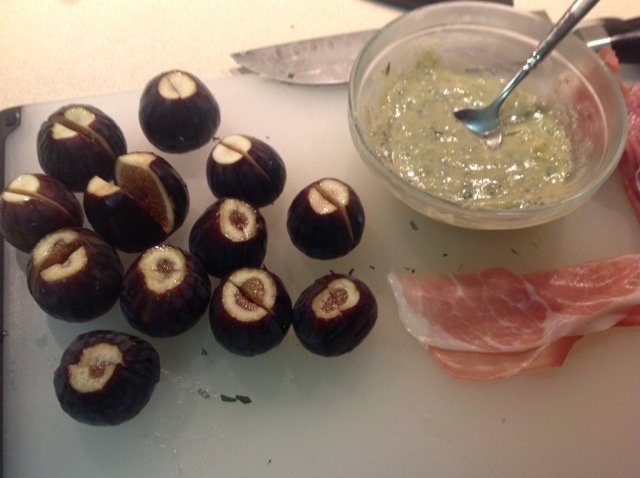 cheese into the slice of each fig and then wrap a slice of prosciutto around the fig to cover the cheese-filled slit. 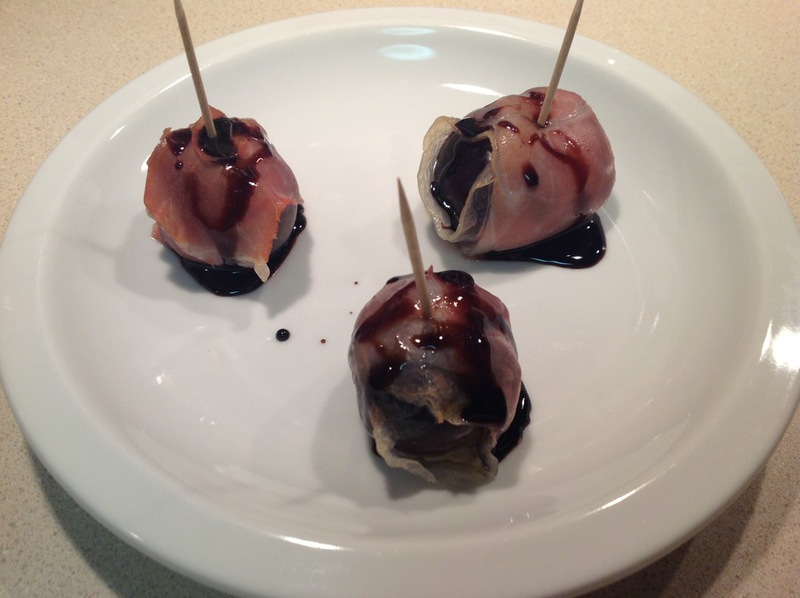 Place wrapped figs on a baking sheet and bake for about 8 minutes. 4. Heat balsamic vinegar in a small frying pan over medium heat until it reduces by half. Drizzle 1/2 tsp. reduced vinegar over each roasted fig. Serve with toothpicks. These were good, but unless you have a big mouth like me, I recommend eating them with a fork.